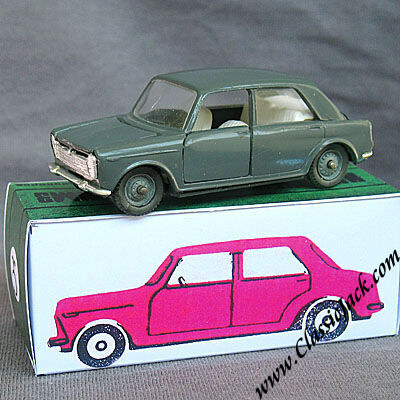 From time to time we are able to source some USSR made diecast models. We import them through a contact in the Czech Republic as these models are rapidly becoming too scarce to "just" pick up in Russia. The models listed in this section are made using old Politoys moulds. 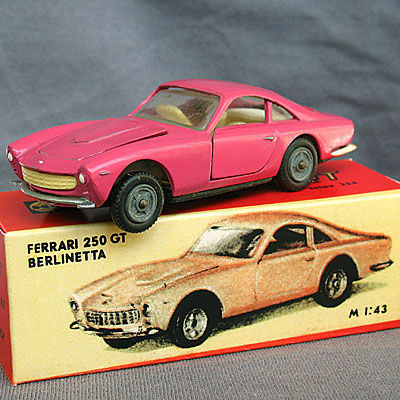 All models are scale 1/43. These models will without a doubt be jewels in your collection. 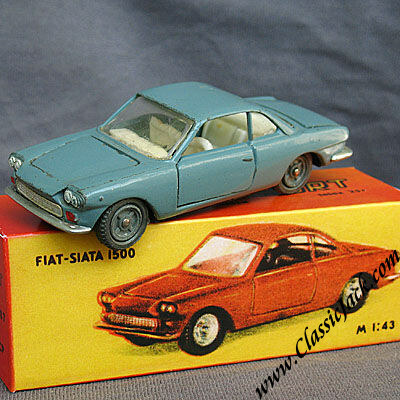 USSR made Politoys Fiat Siata 1500. 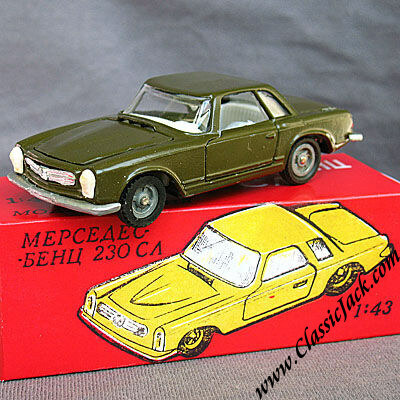 USSR made Politoys Mercedes-Benz 230 SL Pagode.